Tankless water heaters provide hot water ‘on demand’ while heating the water only as it’s needed. Not having to heat water that isn’t necessary eliminates energy waist and saves you money on your heating bills! Call us today and we can help you choose the right tankless water heating system to fit the needs of your family and lifestyle. We have years of experience and have installed so many tankless water heater systems throughout LA County that we’ve lost track! Plus, we offer the best warranties in the business. Get $300 Cash back in Utility Rebates! 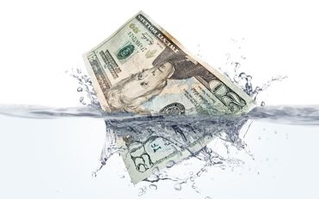 Do you want to receive $300 cash back in utility rebates when you purchase a tankless water heater? If so, call us today to see if you’re eligible! Why Are We The Rooter Masters? Lifetime warranties, criminal background and drug tests for all our employees, price match guarantees and the list goes on. These are just a few of the key reasons why we’re the #1 choice for home and business owners when it comes to solving plumbing problems in LA County. At Rooter Masters, you’re our #1 priority!